AMAZON FLASH SALE! Buy Today & Save 50%! 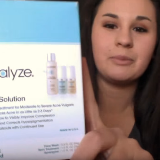 Neutralyze Anti-Acne Solution enhances your skin’s natural healing capabilities, rendering acne — and the inflammation and redness that accompany it — totally powerless. We’ve discovered the secret to treating moderate to severe acne: Advanced, science-inspired medication to bring skin back to a neutral state of clear, calm, even-toned, glowing health — the ultimate Zen for troubled skin. 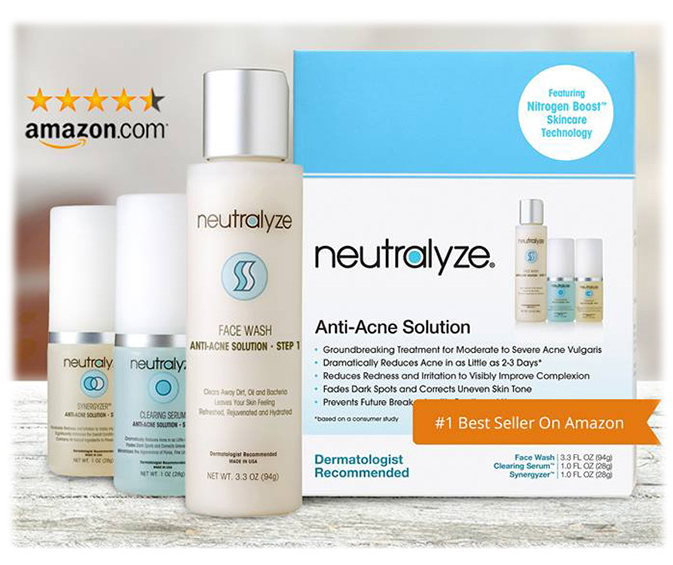 Based on multi-patented NITROGEN BOOST SKINCARE TECHNOLOGY, Neutralyze is the first multi-step skincare system to add the power of nitric oxide — clinically proven to noticeably improve moderate to severe acne within just a few days — by addressing both bacteria AND inflammation. Finally, an acne solution that REALLY WORKS! 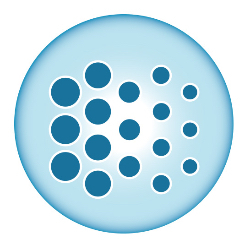 Click the link below to see Before & After pictures! 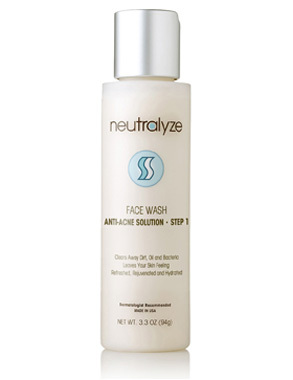 Give your skin the peace it deserves with Neutralyze Face Wash, a powerful cleanser with mandelic acid that quickly eliminates acne-causing bacteria and prevents future breakouts. Experience gentle exfoliation and watch damaged skin renew to reveal the natural complexion you were born with. This luxury wash is creamy and texture-rich, making your skin feel refreshed, rejuvenated and hydrated after every use. Clear skin is happy skin. Neutralyze Clearing Serum penetrates deep to heal existing acne lesions and blemishes, thanks to a proprietary complex of salicylic + mandelic acids. This low pH acne-fighting formula works vigorously to correct dark spots and blotchiness, providing a more balanced and even skin tone. Facial pores are unclogged and minimized to help control excess greasiness, restoring to a stress-free state of calm, relaxed skin. 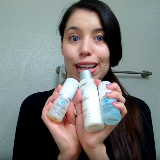 We all want a clear, beautiful complexion — skin that glows, showing health from the inside out. 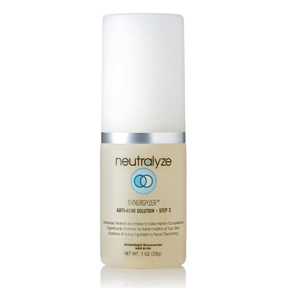 Neutralyze Synergyzer offers a paradigm shift in acne resolution: enhancing your body’s own healing abilities to decrease redness and inflammation, visibly improving your complexion. When mixed together with Neutralyze Clearing Serum on your skin, this activates our multi-patented Nitrogen Boost Skincare Technology. The result: Clear, pH balanced, acne-free skin. I have struggled with adult acne since I turned 18. After expensive treatments, dermatologist visits and medications that never worked, this product works for me. I will be ordering this again and telling my friends. Courtney - Results may vary from person to person. 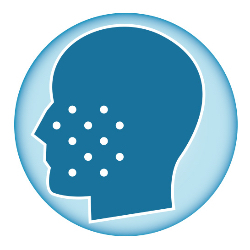 By the third day of using Neutralyze, the pimples had reduced considerably. After a week, they were gone completely. This was about 2 weeks ago and have been using the product faithfully since, and my skin looks great. Chrissy - Results may vary from person to person. I went to doctors, used prescription creams, bought super expensive acne washes and NOTHING would get rid of those under the skin pimples. 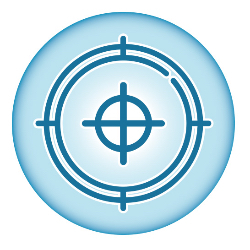 I have been using this going on 3 months now and I will NEVER use anything else. It's worth every penny!!! 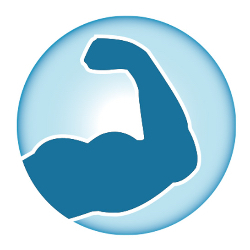 Denise - Results may vary from person to person. clinically proven to help your skin! 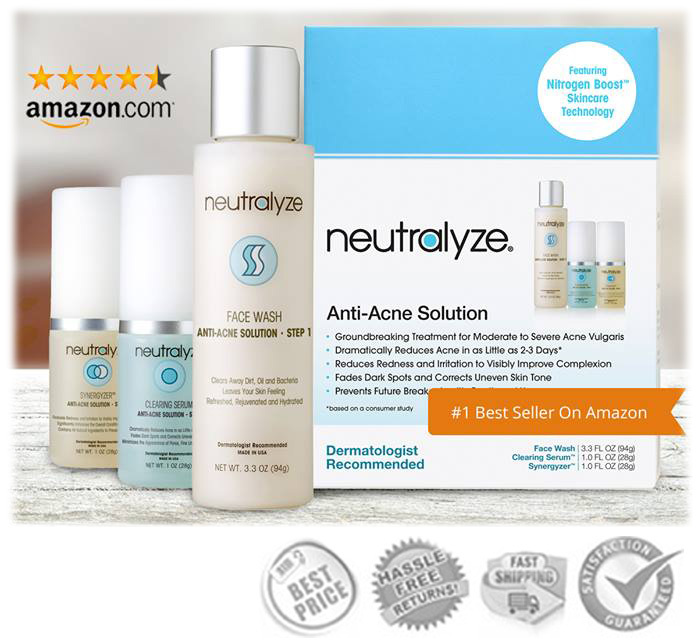 Feel confident purchasing an Amazon #1 Best-Selling Anti-Acne Solution! 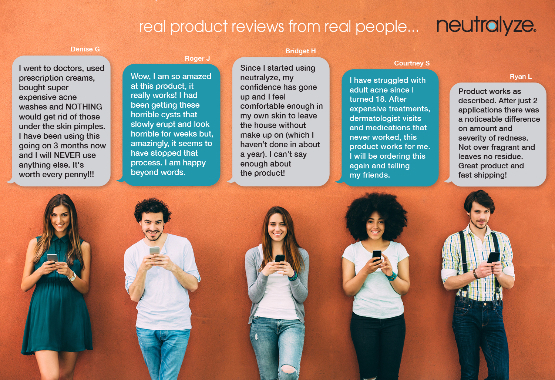 with your results, simply return the products to us within 60 days for a full, no-hassle refund! Copyright © Kantian Skincare LLC. All rights reserved.